There is nowhere else on earth where the cinema is infused with a culture more than in India. Mumbai, formerly Bombay, the capital of the Hindi language film industry releases more movies per year than Hollywood. Approximately 900 films are produced annually. Bollywood movies are typically epic musicals, lasting 2 1/2 to three hours on average, with elaborately choreographed dance scenes. The music of Bollywood films accounts for the majority of modern Indian music. Some Bollywood films are remembered more for the music than the plot. 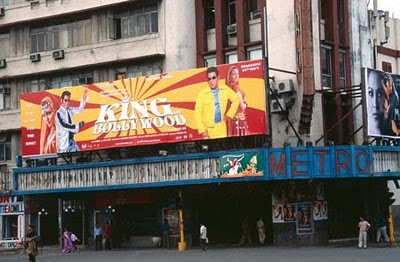 The photograph above shows the Metro Cinema in Mumbai featuring the King of Bollywood with actor Om Puri. The Metro was built in the 1930s and is the grand dame of Bollywood’s red carpet theaters. It was turned into a multiplex in recent years but the facade still retains it Art Deco roots. I'm one of those who love Bollywood and Shah Rukh Khan. Love Bollywood and Indian style. 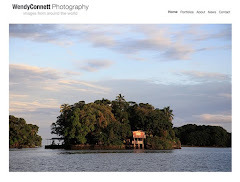 Photo Cache, He is an icon for sure.